Where smart casual meets polished. 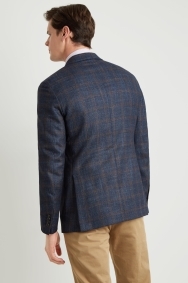 Featuring patch pockets, a textured windowpane pattern and peak lapels, this tailored fit jacket treads the line between relaxed and smart. 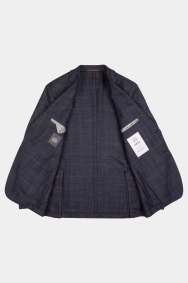 It’s also a refined choice that’s crafted for quality with its unstructured cut and 100% virgin wool material. 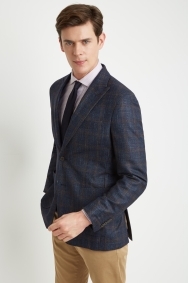 Woven in the renowned Reda mill in Italy, it has a fine weave and a first-rate finish. 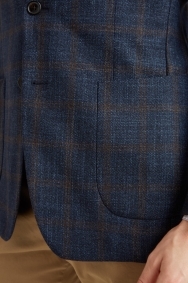 The half canvass lining means all seams are intricately created. Along with the soft shoulder, this construction means it sits naturally across your body. 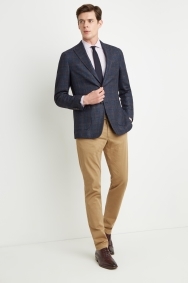 This versatile jacket can be styled in a number of ways. For a stylish new formal look, contrast it with your trousers and shirt.